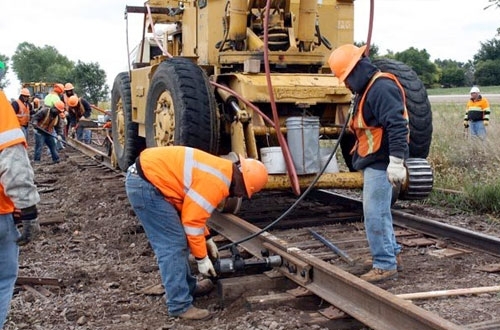 Several rail-related projects across eight states will benefit from close to $90 million million in Transportation Investment Generating Economic Recovery (TIGER) grants. In Washington state, a $20-million grant will aid the Port of Seattle with modernizing its Terminal 46, a container terminal that serves as one of the state’s critical export hubs and economic engines. Among the many improvements planned for the port is an extension of the T46 rail crane. The extension of the dock rail crane will allow an additional 100-foot crane to work the full length of the dock, enabling it to serve two super post-Panamax vessels at once. The South Dakota Department of Transportation was awarded a $12-million TIGER grant for the reconstruction of a portion of the state-owned MRC Railroad between Chamberlain and Presho. 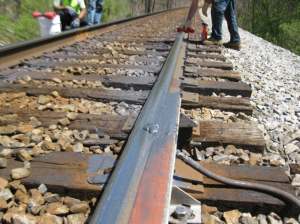 The 41.6 miles of rail will be improved by repairing bridges and culverts and replacing broken and damaged crossties. 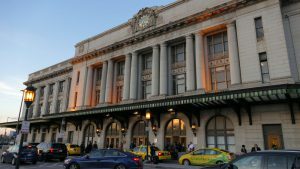 Connecticut received an $8.2-million grant to upgrade the New England Central Rail (NECR) line. 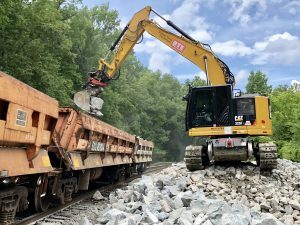 This project will also upgrade the route with the installation of more than 15,000 new crossties and 15,000 tons of ballast through all of the towns along the route from New London to Stafford Springs, Conn. The estimated cost of this work is roughly $10.3 million. The NECR corridor runs from the deep water port of New London to the Vermont-Canadian border. The line currently connects businesses with shipping options for raw materials and finished products via freight rail to all four eastern Class 1 railroads at Palmer, Mass., as well as providing on-dock connections at New London to ocean and barge vessels. In St. Louis, Mo., the Central Corridor Transit Enhancement and Job Access program, which will provide a MetroLink stop in the Cortex Innovation Community, received a $10.3-million grant. 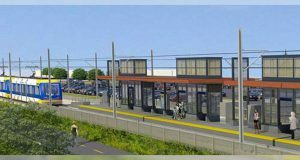 The new station will be located between Sarah Avenue and Boyle Avenue, right near the Cortex complex. The current stations closest to that area are Central West End and Grand Avenue. Sioux City, Iowa, has been awarded a $1-million TIGER grant for the 18th Street Viaduct Planning Project in Woodbury County. The funding will be used for planning and design on a project to improve a local rail yard and construct a new viaduct through the Hoeven Corridor. The funding will help improve access to the Hoeven Corridor, which cuts directly through the center of town and is an important industrial and manufacturing center. The project will construct a new viaduct beginning near the 18th Street intersection with Steuben Street and extending west over the railroad tracks to Floyd Boulevard. 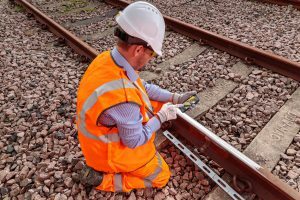 USDOT issued a $12.5-million TIGER grant to be used for track improvements for the Southwest Chief passenger rail line in Colorado. The Southwest Chief connects the people and local economies of Lamar, La Junta, Trinidad and southern Colorado to the rest of the United States. Additionally, M-1 Rail in Detroit, Mich., will benefit from a $12.2 million grant for its 3.3-mile streetcar line and the Maine Department of Transportation received a $25 million grant for its Sarah Mildred Long Bridge rail replacement.